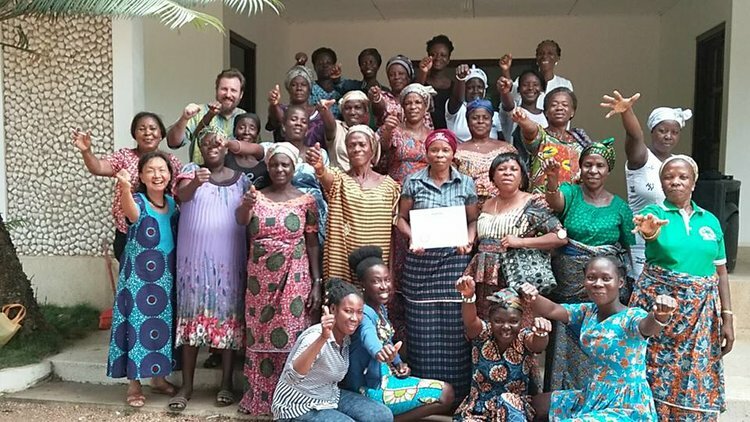 Research documenting the social movement of communities, and especially the women, living around the Songor Lagoon in Ada, Ghana to defend their 400-year-old way of life, has earned StFX development studies professor Dr. Jonathan Langdon and his partners recognition on the international stage. 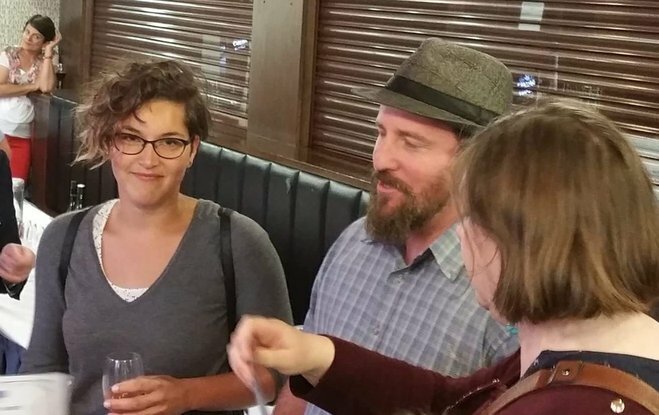 In July, Dr. Langdon, Melissa Jackson and Rev. Sophia Kitcher received the David Jones Award for the top international and/or creative focused paper at the U.K.’s top adult education conference, the Standing Committee on University Teaching and Research of the Education of Adults, or SCUTREA, conference, held this year in Edinburgh. Ms. Jackson, a StFX development studies honours graduate, is currently a master's student at Saint Mary’s University. Dr. Langdon is on her master’s committee. Rev. Kitcher is the convener of the Ada Songor Salt Women's Association, otherwise known as the Yihi Katseme, or "Brave Women." This is the movement at the heart of the effort to reclaim collective access to this artisanal salt production lagoon, the Songor. “This was a complete surprise. We received this award before in 2013, and I never dreamed we would receive it again,” Dr. Langdon says. Ms. Jackson says she was thrilled to receive the award and see their work documenting the incredible organizing and community mobilizing of the Yihi Katseme women recognized at one of the top adult education conferences in the U.K.
Dr. Langdon says this research is emerging from the SSHRC Insight grant he received two years ago, and is part of the story his most recent SSHRC Connection Grant will share through dance/theatre, song and film over this next year. “There were two aspects that judges noted. First, was the focus on documenting collective learning of this movement through their ongoing use of narratives to renew, and reanalyze their struggle,” he says. “The second was the way in which this paper showed the role creativity can play in galvanizing and deepening collective learning. The use of song by this movement has effectively enabled them to sidestep efforts by the powerful to silence or coopt them. Catherine Irving from StFX’s Coady International Institute, as well as several noted adult education scholars from across Canada, also presented at the SCUTREA conference.